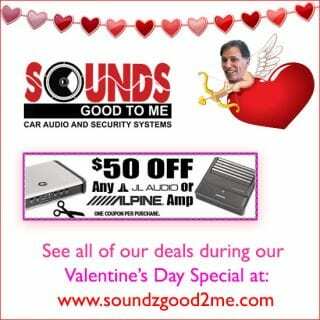 Check it out….we have discounts on Kenwood, Alpine, JL Audio, JVC, Rockford, Fosgate and more during our Valentine’s Day Sale in Tempe, Arizona. 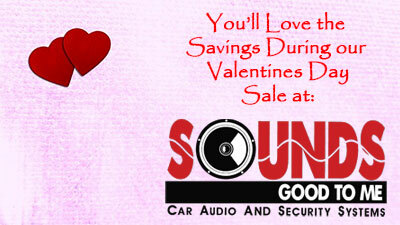 Looking for a Sound Special this Valentine’s Day? 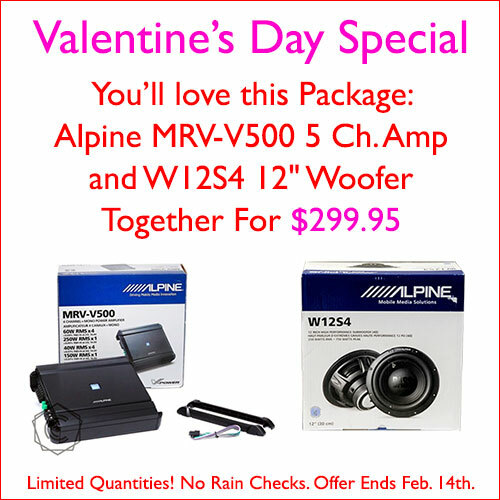 You’ll love this package: Get an Alpine V-Power MRV-V500 5 Channel Amp AND an Alpine W12S4 12″ Woofer together for $299.95 at Sounds Good To Me in Tempe, AZ. Limited quantities, and no rain checks. Offer expires Feb 14, 2019. Upgrade your dash with the Kenwood DDX26BT 2-DIN Monitor, DVD Receiver with a 6.2 inch wide VGA color LCD display with LED back light and Bluetooth built-in for $249.95. 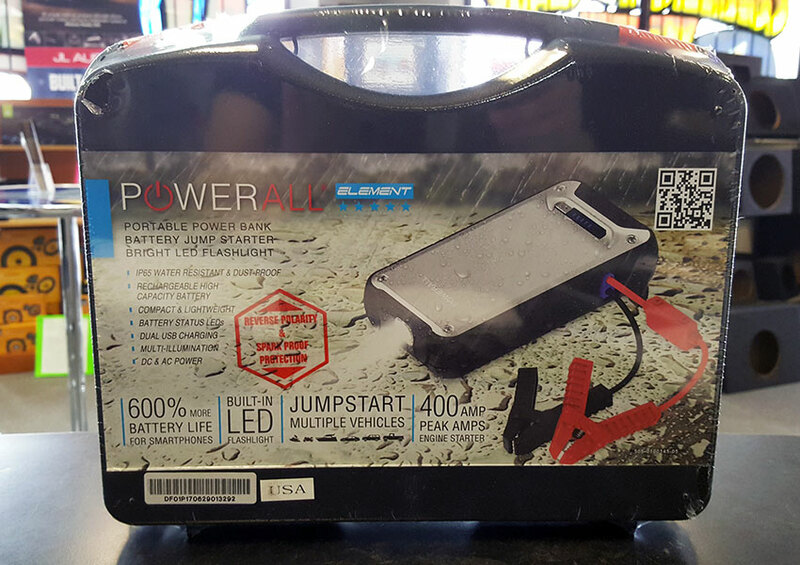 Every vehicle on the road should have one of these battery packs POWERALL Element Power Bank these are lifesavers. Small, powerful, keeps their charge for months. USB port and LED flashlight on it. $99.99. 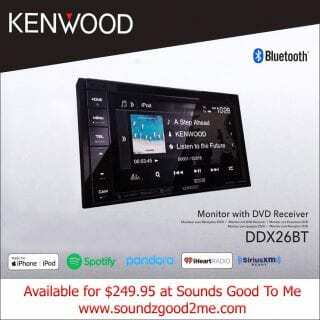 Feel the boom of two hearts beating as one with this Woofers special. 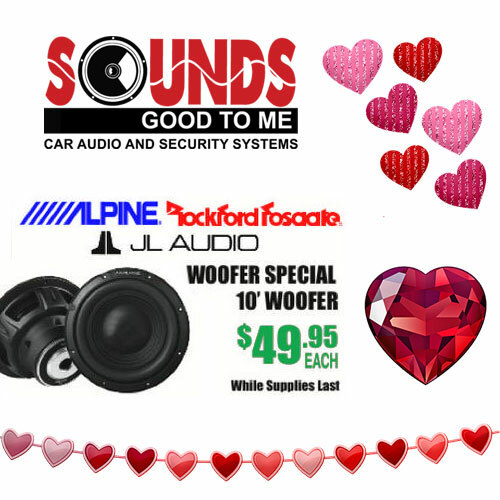 ALPINE JL AUDIO & ROCKFORD FOSGATE 10” WOOFERS are available now – Feb 14th starting at $49.95 each. 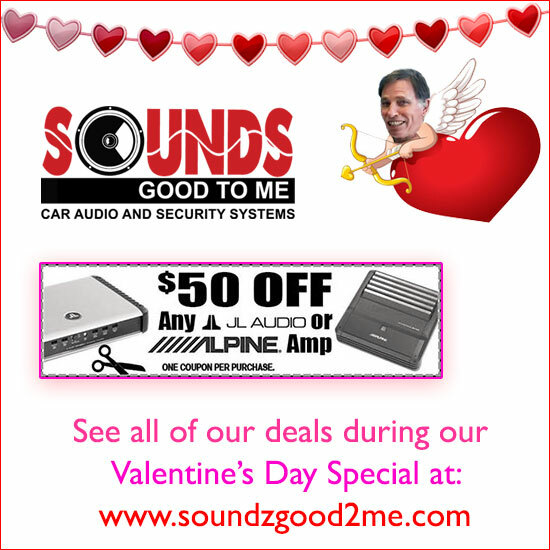 Get $50 off any JL audio or Alpine amp. Come on down our Tempe AZ Audio Electronics Store and check out our Valentine’s Day specials in Tempe Arizona and check out the Valentines Day sales.